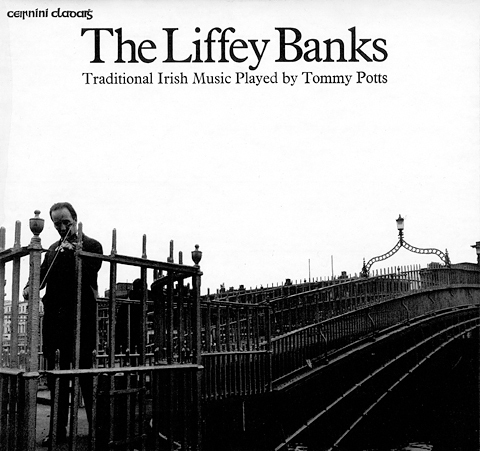 Tommy Potts and The Liffey Banks | Come Here To Me! I remember the first time I saw the image above. It was over on Niall McCormacks blog, and the image just grabbed my attention. In truth, I hadn’t heard of Tommy Potts before. The image is striking but, a man completely content and in his element at one of the most iconic spots in Dublin. Bord Fáilte would ruin it if they tried to capture something like that again. It’s completely natural, a moment caught perfectly. Anyway, it turned out that Tommy was a Dublin firefighter, and I heard mention of him from my father. Based at Tara Street fire-station, he was injured in the Pearse Street fire of October 6th,1936. Three Dublin firefighters died in the fire, including a 1916 veteran named Robert Malone, and two other firemen- Tom Nugent and Peter McArdle. The three men are buried at Glasnevin Cemetery, side by side. Sibéal Teo, a television production company, deserve massive credit for their ‘Cérbh é….‘ series on Tg4 exploring some of the key personalities of traditional music in Irish history. Among the figures studied in the series was one Tommy Potts. It opened my eyes not just to his own music, but an entire hidden scene in Dublin, centered around the (sadly gone) Lavin’s pub. The show was presented by Paddy Glackin, a fiddle player himself, which no doubt added to the character of the show. Here, we have two tracks from 1972s ‘The Liffey Banks’. From the voice of Liam Weldon to the pipes of Seamus Ennis, it’s posts like this I most enjoy. I have The Liffey Banks in my 12″ vinyl LP collection! I don’t recall ever seeing him playing in person, but you never know he could have been playing in O’Donoghue’s small back room in Merrion Row when I was unable to get through the crowd and stayed in the front bar with a jar chatting with a few comrades perhaps after college, a march or meeting. Paddy Glackin mentioned above was at school with me, I believe he came to live in Dublin with his family from Donegal. He was a founder member of the Clontarf Branch of Comhaltas (later renamed the Sean Treacy branch) that held monthly sessions on a Sunday evening in the basement of the Old Moran’s Hotel on the corner of Lower Gardiner Street/Talbot Street. Nice to see grandad getting some recognition. As a child i thought he owned the bridge. I make sure i cross it every time i am in the city.